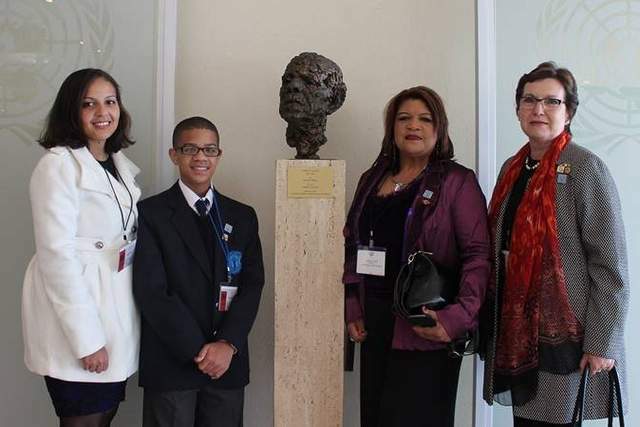 The visually impaired Kayle Frichat was judged 2nd in the Multiple District Contest with her essay THE FUTURE OF PEACE. 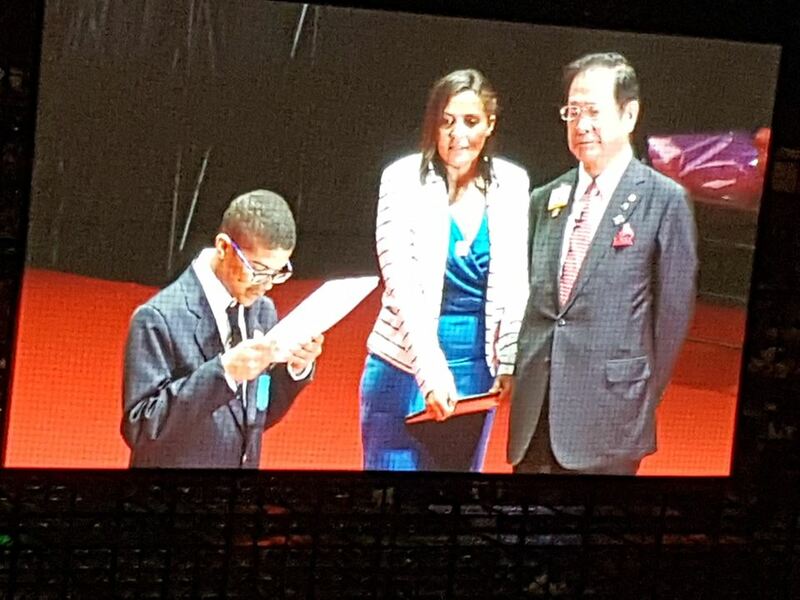 Kayle was awarded with a price money of R 2000 from our District 410 A and R 3000 from the Multiple District. 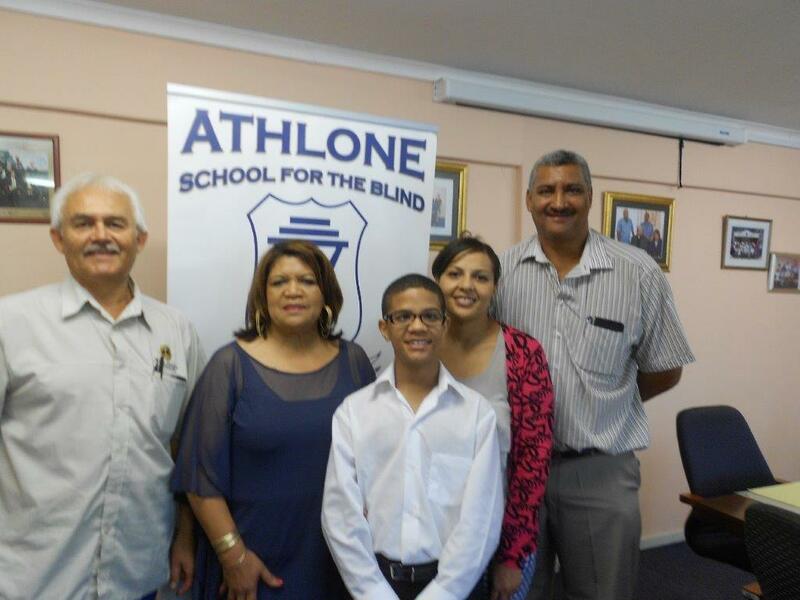 The Athlone School of the Blind received R 2000 as well. 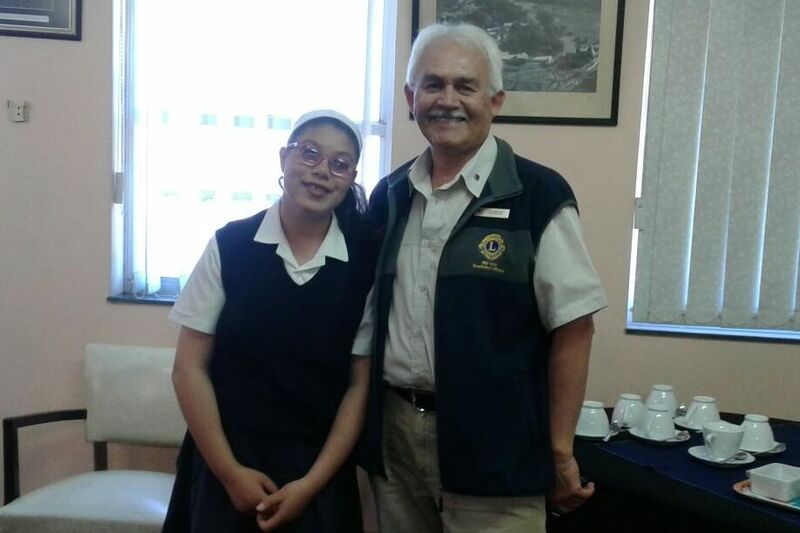 Lion Paula Lang and Lion Jimmy Lang did the handover at the Athlone School for the Blind. Lion Jimmy always walks the extra mile for the Peace Essay and Peace Poster contests to get the pupils involved. 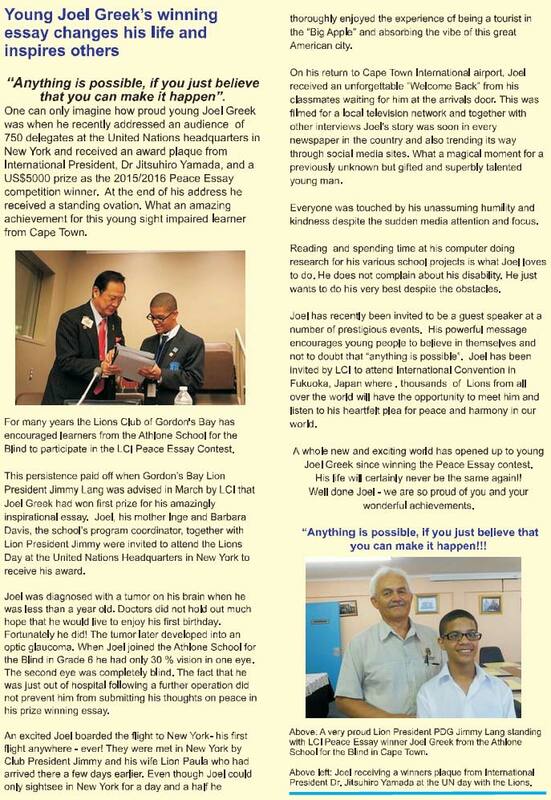 Since many, many years Lion Jimmy Lang organises the participation of local pupils at the Lions Clubs International Peace Poster and the Peace Essay competition. 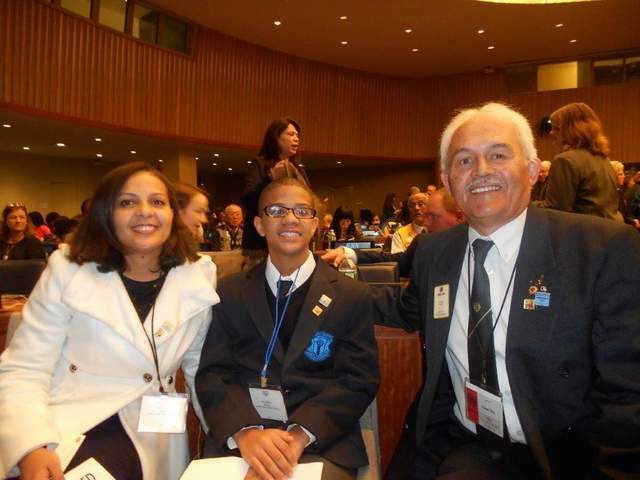 Lions Clubs International sponsors the international competitions for children between the ages between 10 and 13 years. 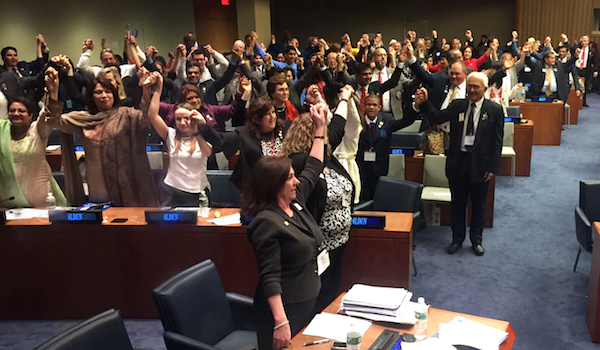 The Peace Essay competition was created in 2010 to offer an opportunity to visually impaired young people to express their feelings of peace. 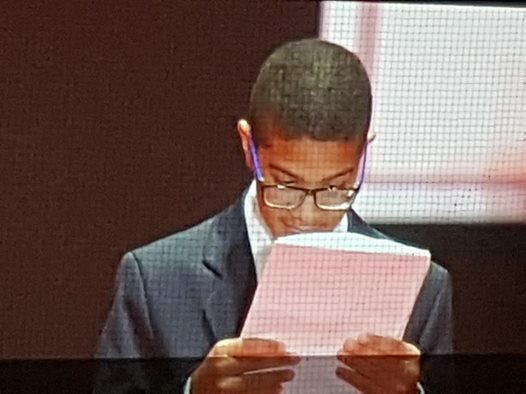 We were extremely gratified when we learnt that Joel Greek from Kuilsriver, whom we had sponsored, had won the 2015/16 International grand prize. 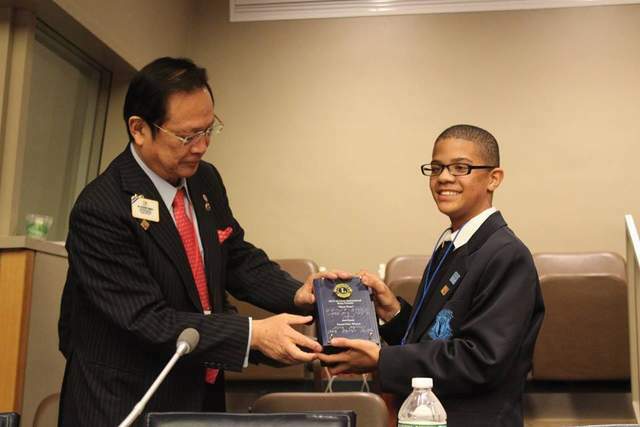 Joel's essay Share Peace was judged the best among hundreds of other entries from all over the world. 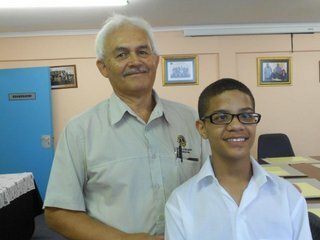 Joel who is a pupil at the Athlone School for the Blind has spent his life in and out of hospitals. 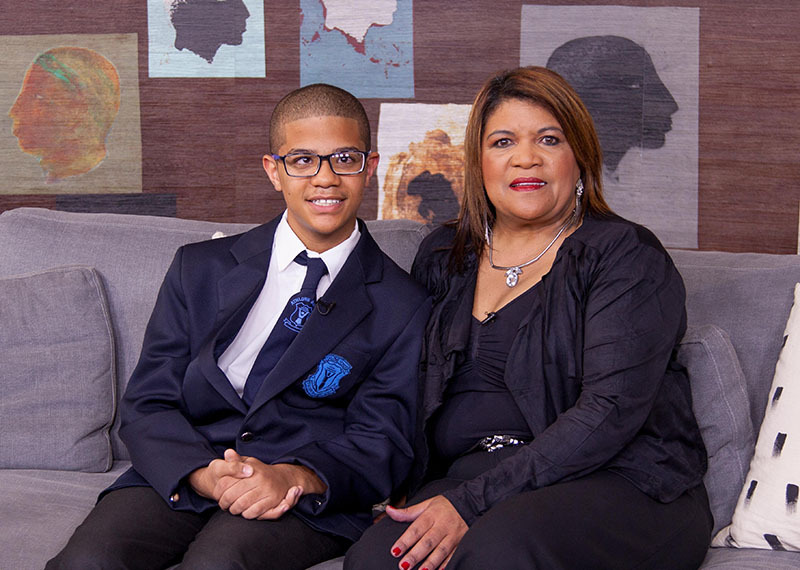 He suffers from an optic glaucoma, a degenerative condition that was caused by a brain tumour when he was just 6 months old, for which he underwent chemotherapy. 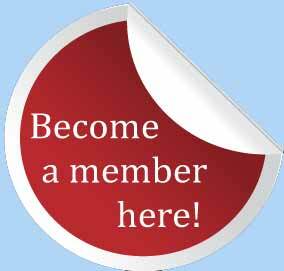 Members and guests were thrilled when Joel and his mother attended our club meeting in Februray 2016 and thanked the club for the opportunity given to him by the Gordon's Bay Lions Club. A4 weeks nail-biting up and down followed, to get passports and visas for Joel and his mother Inga Greek and for Barbara Davis from the Athlone School for the Blind. 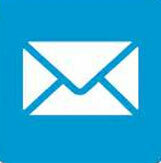 The visas arrived in the really last minute at Thursday, 10. March 2016. On the 12. 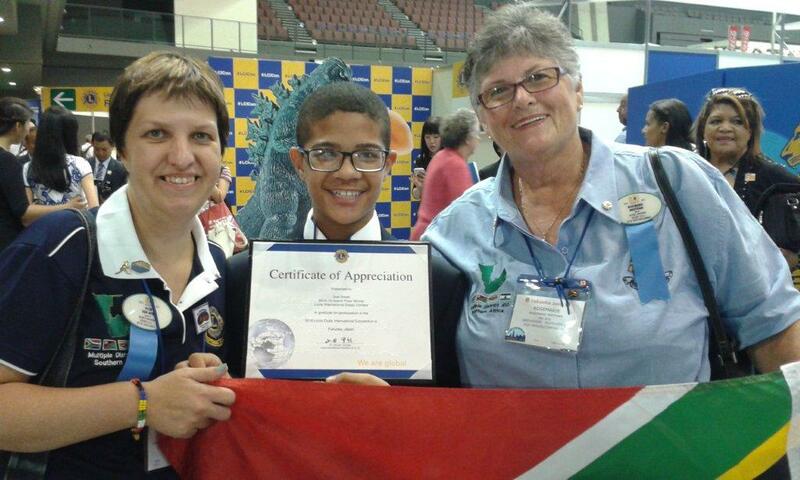 March 2016 Joel was finally presented with his plaque from Lions Clubs International President Dr. Jitsuhiro Yamada together with a cheque about US$ 5 000.00 (R 83.000). 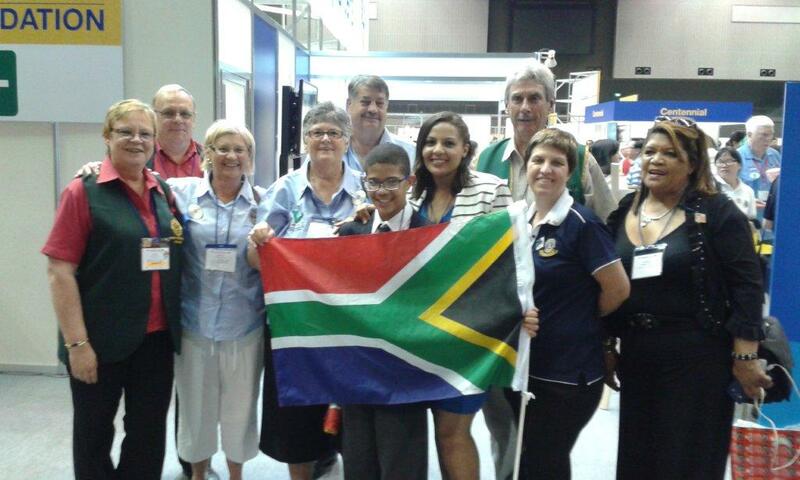 Gordon's Bay Lions Club President Jimmy and Lion Paula Lang had accompanied Joel as well as his mom Inga Greek and teacher Barbara Davis. 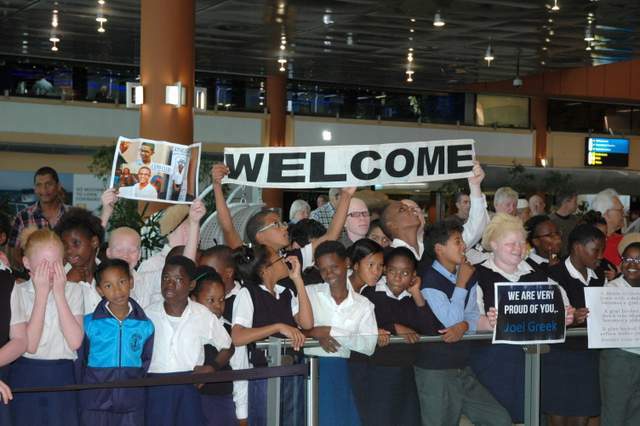 When Joel returned home, joyful screaming classmates, a happy minister, a proud school principal and many smiling faces awaited the 12 year old school boy at the Cape Town International Airport. The Western Cape Minister of Social Development, Adv. Albert Fritz welcomed him back: “The win shows the importance of support and empowerment for young people living with disabilities”. 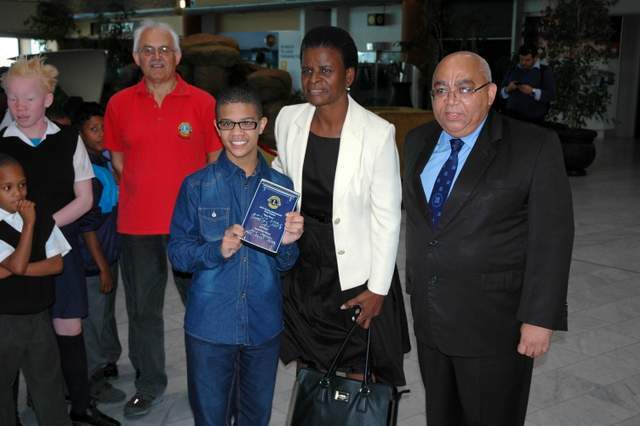 School principal Fletcher Fisher and Ms. Bridgette Masango, Democratic Alliance shadow minister were also present to congratulate him on his arrival at the Airport. 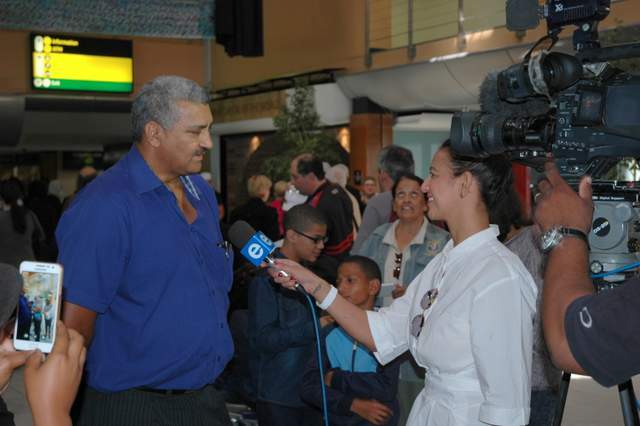 Tanya Nefdt from ENCA interviewed Joel, school principal Fletcher and Gordon's Bay Lions Club president Jimmy Lang. A few weeks later our club was invited to the award ceremony of the price at the Athlone School for the Blind. The school and our club had received a price as well. 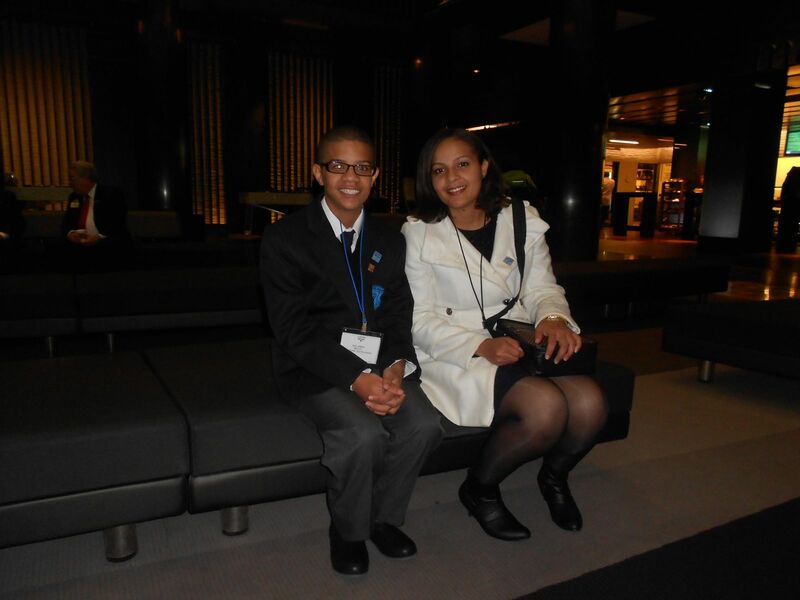 Western Cape Department of Social Development Minister Adv. Fritz, Lions District Governor Sue Charles, Joels mom Inga Greek and members from surrounding Lions Clubs attended the ceremony. Once again everybody was pleased by the charming young man. 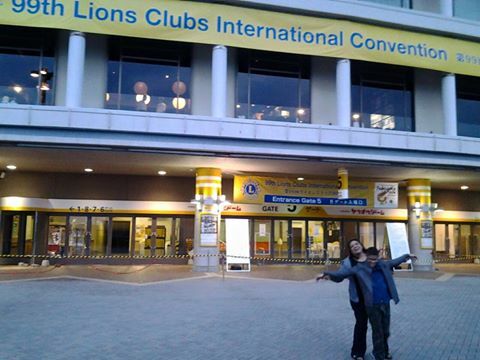 Joel Greek was not only invited to various opportunities by Minister Fritz and other members of the public, he later went to the 99 Lions Clubs International convention on Fukuoka, Japan in June/July 2016.